There are plenty of reasons to seek alternatives to white flour, including the desire to shift to a healthier whole-grain diet and gluten allergies or sensitivities. Some of the following flour substitutions are whole grains and others are completely gluten-free for those who need to eliminate gluten from their diets. Oats are gluten-free, but there is a risk that they will contain traces of gluten due to cross-contamination. If you have a severe gluten allergy, be sure to buy from companies such as Bob’s Red Mill Natural Foods whose oat products are tested to ensure that they are gluten-free. 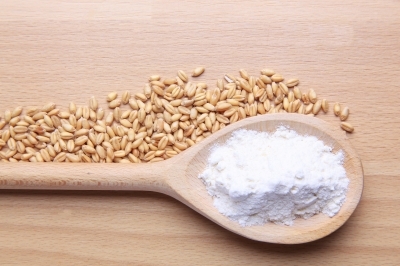 Wheat flour is a mix of gluten protein and starch, so for best results in gluten-free baking, it should be replaced with a combination of gluten-free flour and starch. Gluten Free Girl provides instructions for making gluten-free flour blends. Note: Replacing all the white flour in a recipe with whole grain flour makes recipes healthier, but it can change the texture and appearance of finished baked goods – see Tips for Baking with Whole Grain Flours to improve whole grain baking.